For this month’s spotlight feature we talked with Kerby and Julie Wright of Uncle Bob’s Septic Services. Q: Please tell us a little bit about the history of your company—when it started, who works there? What changes or modifications have you made since you took over? My wife Julie and I and started the company in my hometown of Woodford, Vermont (30 miles east of Albany, New York) as a way to provide good paying jobs for our family and friends. Bennington, like many small towns in the Northeast, has seen many of its blue-collar, good-paying jobs leave town in the past 25 years. A local septic and drain company that at one time had employed many of my family and childhood friends for the past 20 years had gone out of business and we believed the employees just needed a fresh start and new leadership to return them to a job they knew well and maintain the ability to support their families. Julie served in the United States Air Force and held the rank of Captain before leaving the Air Force to raise our three children. I’m currently a Lieutenant Colonel in the Vermont Air National Guard and a trial attorney in Rochester, New York. My Uncle Bob (the inspiration for the company name) is a diehard Vermonter and United States Army veteran. Our flagship company is One World Environmental and it includes Uncle Bob’s Septic Services, Grease Commander, Patriot Portable Restrooms (event grade portable toilets), and GoBox (construction grade portable toilets). We’re just 20 months young and growing very fast. One World Environmental is focused on the design, installation and maintenance of septic systems. Uncle Bob’s Septic Services is focused on all typical septic-related services: pumping, real estate inspections, maintenance, pump stations, etc. Grease Commander is focused on grease traps and FOG (Fats, Oil, and Grease) generated from the restaurant and hospitality sectors. One World, Patriot, and GoBox are focused on portable toilets and luxury restroom trailers. More information can be found by visiting oneworldenv.com; unclebobseptic.com and greasecommander.com. We started our business in June 2014 from scratch. 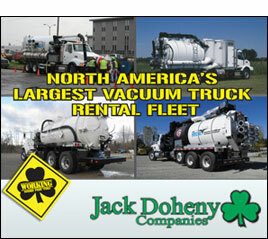 First, we purchased a used septic pump truck, powersnake and Spartan camera. We then hired a family friend, graphic designer Kristin Healy, to create the Uncle Bob character and logos. We started with one employee and now employ up to 10 employees during our peak season. Our services include real estate septic system inspections, septic system design, septic system installation, septic system repair, drain maintenance and repairs, grease trap cleaning and portable toilets and luxury restroom trailers. The core of our initial business was septic tank pumping only. In March 2015, we took all of our employees to the Water & Wastewater Treatment & Transport Show (WWETT) for additional training. We conduct online training and our technicians were the first in the State of Vermont to be trained and certified by Dave Gustafson, P.E. from the National Association of Wastewater Technicians (NAWT). In 2015 we earned Bennington, Vermont’s Reader’s Choice Award for the Best Septic Service Company in Bennington, Vermont. Presently, we have a full-time Operations Manager, Matt Niles, a full-time Field Technician, Nathan Prouty, and a full-time Portable Restroom Technician, Robert “Uncle Bob” Wright. Matt was born and raised in Bennington and has over 20 year experience in the wastewater industry. Nate was also born and raised in Bennington and continues to focus his training and education on drain operations and pump station maintenance and repair. Robert “Uncle Bob” Wright helped his father build septic tanks nearly 45 years ago and has continued to help technicians in the local area. He focuses his work on the assembly, transport and maintenance of portable toilets and luxury restroom trailers. In the summer, we hire additional employees who are mainly CDL licensed drivers and excavator operators. Matt oversees all field operations – from septic system installation to drain repair to luxury restroom trailers. Matt, Nate, and Uncle Bob may regularly contact Julie and me via phone, email or text if they have questions, suggestions, concerns, etc. Q: What is your business model? How have you structured your business? What market research did you do, if any, to help you make decisions on your business model and the types of trucks and equipment you thought you needed when you started? The market research we conducted consisted of evaluating the 3-5 septic service companies in our area and asking their customers what they’ve been charged and what they’d like in a septic company. We then purchased one used pump truck and had it professionally detailed and lettered by Sean Christie and his staff at Ewing Graphics in Farmington, New York. Sean and his staff have been a great help in ensure all vehicles and portable toilets carry professional, well-designed logos and decals. Our business model is simple: aim to provide the best and most cost effective septic and drain service at every stage of the customer’s experience with our company. We have equipped all of our technicians with IPads and IPhones and use IFleet software so our technicians can take photos while on site, document all work performed, save the GPS location of the home and septic system, and email invoices and video/photos to the customer while on site. We’re the first septic and drain service company in our area to offer CALL or TEXT to the same number. The calls, texts, and emails are delivered directly to our company Iphones. We don’t use answering services and we have our phones with us at all times – day and night- to allow us to promptly respond to any emergency. In this way, we can truly offer 24/7 services to our local community and beyond. Finally, we carry very little debt. Many septic companies get over leveraged with the “hope” of making more money. Any purchases must make sense for the company and must bring an added benefit to the customer. We’re all about growth. We never stop growing – into other services and areas. Q: Tell us about all of the different services that you offer. The majority of our business is septic pumping, repairs and installations. In 2015 we moved into the portable toilet and luxury restroom trailers. We didn’t select just any portable toilet company. We asked around and even visited many of the portable toilet manufacturers. An invaluable resource and guidance was provided by Jeff and Brian, owners of Crescent Moon Portable Restrooms, in Farmington, New York. 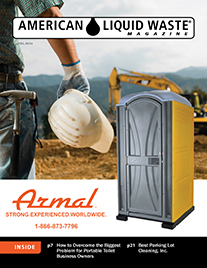 They own and operate one of the largest and portable restroom companies in the Northeast and have been extremely helpful in our move into the portable restroom market in Vermont. We travelled to Five Peaks in Muskegon, Michigan and met with Nick Dunstan. After meeting with Nick and using several makes and models of portable toilets, we now only buy and use portable toilets manufactured by Five Peaks. As business picked up, we desperately needed a slide-in pump unit. Robert and Julia Denome, owners of Crescent Tank, located in Bloomfield, New York were very helpful in getting us the portable toilet slide-in tank that fit our needs at a time when we were just starting the portable restroom business with 10 toilets. We recently ordered 120 portable toilets from Five Peaks and may consider purchasing another pump truck in the future. The Crescent Tank slide-in unit is still handling the bulk of the work but we may have to move up to larger wastewater tanks. Q: What are some of the distinguishing features and services of your company that are unique to your company? We pride ourselves on being efficient and reasonable with our prices. We have the newest equipment and the Ipads with photos of our work are very much appreciated, especially by our out of state customers who own second homes in Vermont and New York. We can send them video or photos to show what work is needed and what we have accomplished. Q: How did/do you arrive at creating a unique image or identity for your company? What are points of differences to how you work with your target client base, differences that make your company stand out? Q: Tell us about all of the equipment, trucks, tanks, jetters, inspection cameras, etc. that you use for all of the fine services you offer. What would we find in your garage and see on the streets? We have numerous trucks, vehicles, and equipment that we put into service on a regular basis. We have a 2000 International with 3200-gallon Pikrite tank, heated valves and 367 Challenger Pump. We also have a 1997 International Eagle with 3600-gallon DynCorp Tank with hydraulic dump. In addition, we operate a 2007 Chevy 4500 14’ Box truck, a 2010 Ford Transit Connect Van, a 2007 Chevy 2500 Service Truck, and a 2008 Ford F350 dump body. For excavation purposes we use a John Deere 50C ZTS mini-excavator and a CAT 303.5 mini-excavator. John Deere was born in Rutland, Vermont. As prideful Vermonters, we are partial to John Deere mini-excavators and equipment. In addition, we use a CAM Spray 300 ft high pressure jetter, operating at 8 gpm/3700 PSI, a Spartan Sparvision 200 ft. Sewer Camera with Ipad, and a Spartan 100 ft. sewer camera, in addition to General and Rigid Powersnakes. There are many fine products on the market, but for our portable restroom division we recently ordered 120 portable toilets from Nick Dunstan at FivePeaks. We’ve gone from 25 to 150 portable toilets in the past 6 months. We have also built special toilet trailer units for that we use for construction sites. We have used J & J chemicals for our chemicals. Q: What kind of business growth does your company experience? In 2014 our revenue totaled nearly $50,000. In 2015, our total revenue exceeded $250,000. In 2016, our revenue is projected to exceed $500,000. 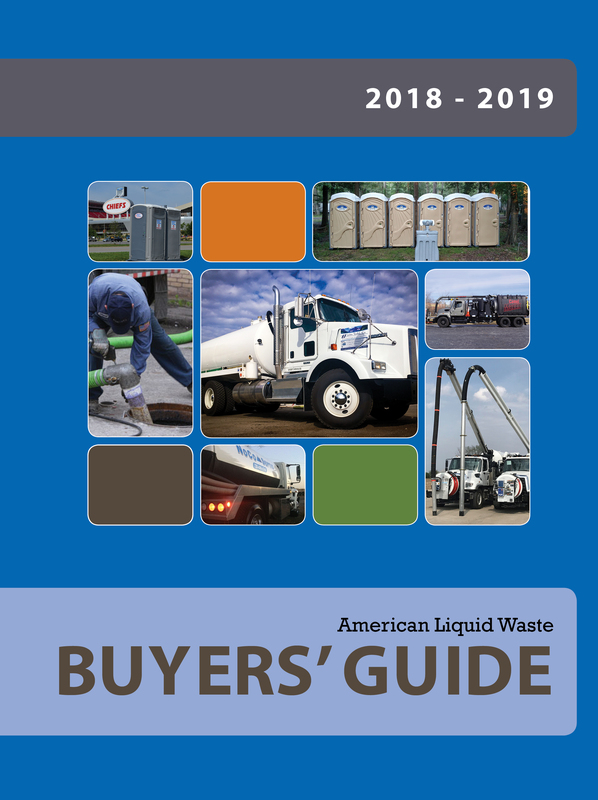 Q: How much liquid and/or solid waste do you collect and dispose of? Where do you dispose it? How does the whole disposal process work in your particular municipality or state? We only dispose of waste in wastewater treatment plants in Vermont and New York. We do not dispose of waste in fields or create unsafe human compost. We make every effort to use environmentally friendly products. We regularly read state statutes and consult with family owned engineering firms. In fact, Mance Engineering in Bennington and Manchester, Vermont has been a great asset and reference for our technicians. Mance Engineers are regularly on site during our inspections and installations. We are constantly on the lookout for new, better technology to help advance our business. Q: I know you are actively involved in local associations. Please let us not the most recent activities you and your company have joined and participate in. We recently coordinated Vermont’s first-ever real estate septic system inspection course with the National Association of Wastewater Technicians (NAWT) and the State of Vermont. We have the only nationally certified septic system technicians. This company is still in its infant stages and there’ll be more to report on within the next year. Please visit the company’s websites for more information: www.unclebobseptic.com; http://oneworldenv.com; and www.greasecommander.com.